The active/passive distinction depended on both the validity and reliability of the Bank of France statistics and the coherence of the distinction. In 2010 the Cour Des Comptes (National Audit Office) published a searing criticism of the validity and reliability of the Bank statistics. For example, if a person was divorced the Bank seemed to always classify them as passively indebted even if the divorce occurred many years before the debt problems! More fundamentally the Audit Office questioned the coherence of the simple active/passive distinction since there might often be a combination of events which leads to an inability to repay. As a consequence of this critique the Bank stopped publishing statistics in its surveys of debtors on the reasons for the over-indebtedness. The Bank has now published a new study on the paths leading to over-indebtedness, conducted by a consultancy firm. This provides a more complex typology of reasons for individuals using the over-indebtedness commissions. Unemployment or reduced employment (23%); budget constraints (17%), and inappropriate use of credit (14%) are significant reasons. But the largest percentage (41 percent) represent a conjuncture of events including a change of circumstances with some individuals not adjusting effectively their budgets to these changes. Some of the budget constrained group also seemed to make impulsive purchases. A comparison group of similar individuals who had not accessed the Commission seemed to manage their budgets slightly more effectively. An underlying theme in the report is that behavioural limitations of debtors are a significant driver of a spiral of over-indebtedness. The Bank uses these findings to justify greater financial literacy education, which of course has become a worldwide crusade. The findings deserve more extended scrutiny than is possible in this blog. What is most interesting however is how the French policy making community managed to sustain for so long the defective active/passive distinction and its implications for policy making. A characteristic of the development of French policy making on overindebtedness is its management by the French technocracy through the Bank of France and Consultative Committees. Dialogue takes place within these groups, with critiques coming from within the technocracy (such as the Cour des Comptes). The absence of non-state initiated studies of bankrupts in France, and the limited role of interdisciplinary studies in the French legal academy reinforce this approach. This means that the overt ‘war of ideas’, which characterised US bankruptcy policy making in the period before the Bankruptcy Abuse and Consumer Prevention Act of 2005, does not occur in France. In my forthcoming book (here) I compare these different policy styles, and the role of social science knowledge within them, as part of understanding the paths of bankruptcy law development in these countries. The Bank of France issued recently its Barometer of Overindebtedness for the third trimester of 2014. Filings with the Commissions reached over 230000, a rise from 217000 in 2009. In an earlier post I outlined the findings of the Bank’s Enquête Typologique of debtors in 2012. The Bank issued in November 2014 a further report for 2013. This indicates similar demographic characteristics of debtors–overrepresentation of renters, single individuals, and women in the rétablissement personnel procedure, those between 25-54, the unemployed and blue and white-collar employees. Debtors are atypical of the French population. In 2004 31 percent of debtors had no repayment capacity, in 2013 54 percent had no repayment capacity and 71 percent less than €250. Applications to the commission represent 4.35 persons per 1000 of the national population (15 years or older). The report breaks down over-indebtedness by region, comparing the filing rates with the regional levels of unemployment, RSA (social welfare), separation and divorce rates, and disposable income of the population. Filings corresponded generally with these factors; the old industrial regions exhibited higher levels of filing. However there were some anomalies with for example southern regions such as Midi-Pyrenées (3.74) having significantly lower levels than Haute-Normandie (6.24) notwithstanding similar indicators on unemployment, social welfare, divorce and disposable income. The report speculates that these differences might be explained by other factors such as social norms. The issue of subnational variations in insolvency filings within Europe has not been studied systematically. In England and Wales recent data from the Insolvency Service also indicate significant differences between regions with the North East and South West having higher than national levels of bankruptcies and DROs, and London a significantly lower level. Paul Bishop has analysed these data over the period 2000-2007 using a variety of techniques. He finds a persistently high level of bankruptcies in the South West which may be associated with low incomes and the large presence of ex-military personnel. He also found a low-level of filings in London which may be associated with higher incomes and the “Capital city effect”. US studies of persistent regional variations have often focused on state variations in laws and local legal culture but also recognise other demographic characteristics. The European studies suggest that greater attention might be paid to regional variations in bankruptcy filings. Since these filings may often be the ‘canary in the mine’ signifying economic or social problems, regional studies may be more helpful in identifying problems and targeting potential policy solutions. 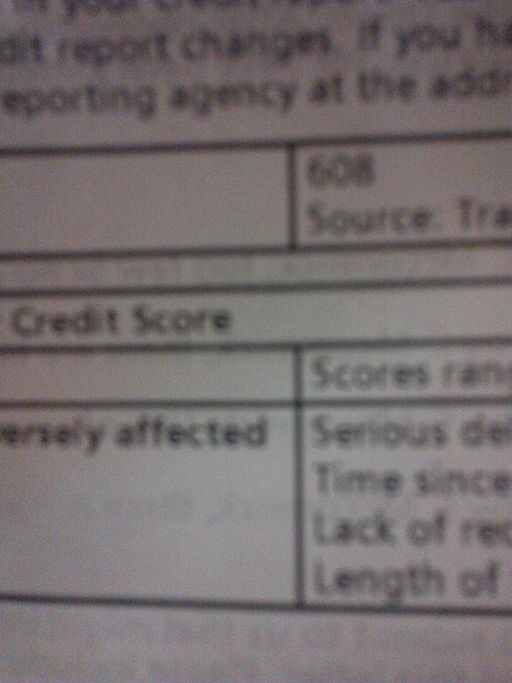 No positive credit reporting in France? France differs from the UK in its approach to credit bureaux. The Bank of France administers ‘negative’ credit reporting systems which contain information on whether individuals have made applications to the Over-Indebtedness commissions or are in substantial arrears on repayment. They do not include ‘positive’ information on loans taken out and payment record, a characteristic of UK credit reference systems. Private credit bureaux do not operate in the French consumer credit market and in 2007 the Conseil d’État upheld a refusal by the French privacy regulator (CNIL) to permit Experian to establish a central database. The French system was introduced in 1989 as part of the loi Neiertz to address 0ver-indebtedness. However, the continued rise in over-indebtedness in France since then has resulted in pressure to introduce positive credit reporting on the assumption that this will enhance credit decision-making and prevent subsequent over-indebtedness. The introduction of positive credit reporting in France is controversial. First, a strong conception of privacy–understood as the ability to shield one’s financial affairs from market and commercial intrusion–is argued to be influential in France. This is best developed by James Whitman in his study of Western cultures of privacy. Undoubtedly this is a factor but political interest groups have also been influential in the debate. Although one might expect financial institutions to be in favour of having more information available on potential debtors, French banks through their lobbying group have opposed the creation of a positive reporting system. Why? The answer is probably a fear of greater foreign competition and new entrants to the consumer credit market. The ability of a financial institution to access a neutral third-party information source on debtors would reduce the advantage of existing incumbents who already have built up sophisticated scoring systems on their clients. Consumer groups are also divided in their support. Some groups are opposed, although those involved with over-indebted individuals (such as Crésus) support the introduction of a positive system. The opposition here is partly a concern that because the primary cause of over-indebtedness relates to events which occur after the credit has been granted then more information will not necessarily reduce the risk to an extent that the economic and social costs of introducing a system outweigh the benefits. It seemed as if a positive credit reporting system operated by the Bank of France would be introduced when an expert body appointed as a consequence of the 2010 Loi Lagarde implementing the EU 2008 Credit Directive, recommended this option. It was included within the recent loi Hamon which introduced a variety of consumer protections. However, the relevant sections were referred to the Constitutional Council (Conseil Constitutionel) which on March 13 2014 struck down the sections as a disproportionate intrusion on the constitutional right of privacy which was not outweighed by benefits related to credit decision-making. This French decision is interesting internationally in terms of the role of credit bureaux and the balance of positive and negative information. International agencies such as the World Bank promote strongly the introduction of credit bureaux with wide information sharing. They argue that it promotes better screening and risk assessment, reduces bad debts, increases competition by reducing the advantages of local incumbents, makes it easier for consumers to switch, and widens availability of credit. But although these institutions may be useful in kick-starting a credit system, there are concerns that in mature credit economies comprehensive credit information on individuals becomes part of a lender strategy to maximise profits rather than minimise risk, with the expansion of the market to include higher risks and targeting of individuals who are highly profitable because they will yield high late payment and other fees. This is the so-called ‘sweat box’ model of credit card lending. These concerns combined with privacy issues and accuracy of information have prevented the EU from developing an EU wide credit reference system or set of norms. The EU established an expert group on credit histories in 2009. It could not agree on whether positive reporting should be a norm concluding that the ‘economic literature offers contradictory (and often not definitive) views and that the European experience shows that both approaches can work effectively’. Thus although the EU may require lenders to consult credit databases in mortgage lending and to have cross-border access to databases where necessary, no agreement on the form of the credit database exists. Two further points. The existence of extensive credit reporting in the US and the UK did little to prevent the sub-prime lending crisis, or in the UK the large run-up in credit card debt prior to the Great Recession. The credit reference industry and multinational credit firms have an interest in expanding the role of credit bureaux, so that they become central sources of information for purposes such as checking tenants or employees. The example of France where they are unable to operate in the consumer credit market represents a challenge to their growth and to influential thinking about credit bureaux, suggesting that the overall economic and social value of these systems needs further analysis and debate. The Bank of France published recently its 2014 report on the demographic characteristics of individuals using the OverIndebtedness Commissions during 2012 (Enquête Typologique; for a discussion of the development of the French system see my 2012 article). Those using the system are primarily renters or living in subsidised accommodation (90 per cent) in a country with a home ownership rate of approximately 60 percent. Single individuals (including separated, divorced and widowed) are overrepresented. Women comprise 54 percent of debtors. Compared to the general French population, higher grade employees and managers are underrepresented and blue and white-collar employees over-represented. Those in the age group 25-54 are overrepresented. A high level of unemployment exists with 26 percent unemployed at the time of application. Over 75 percent have less than €2000 in monthly resources and 49 percent less than the SMIC (the minimum full time wage of €1425 in 2012). Over 50 percent have no repayment capacity. Those using the rétablissement personnel procedure which permits an immediate discharge of debts for individuals who have no possibility of making repayments over the next eight years are more likely to be women (60 percent), renters or in subsidised accommodation (only 1 percent owners), earning less than the minimum wage (69 percent). The use of the immediate discharge procedure has grown significantly in recent years, from 33,378 cases in 2008 to 68,235 in 2013, partly because of changes in the law which facilitated the use of this procedure by the Commission. Although the Bank of France no longer publishes the reasons for filing with the Over-indebtedness Commissions, earlier studies suggest that unemployment and other changes of circumstances are the primary reasons. Although French debtors may not fit the ‘middle class’ image of the US bankrupt, further research going behind the headline data would be necessary to confirm this hypothesis. The Overindebtedness Commissions were introduced in 1989 as part of a programme of measures (see the Loi Neiertz), one of which was the introduction of a Fichier which records the names of those filing with the Commission. A controversial issue has been whether France should introduce a general credit reference system with positive as well as negative data which creditors could consult before granting credit. The government recently proposed a Fichier Positif operated by the Bank of France but it was struck down as disproportionate to the right of privacy by the Conseil Constitutionel.I will discuss this in a separate post.